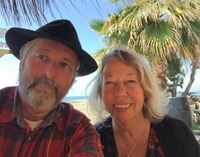 Rob and Julie Narewski are the founders of Reiki San Andreas which they run together in Andalusia Spain. They teach Reiki classes together, both giving each student daily attunements, initiations and teachings. This gives a lovely feel to the classes bringing a broader and clearer class experience. Julie has been teaching Reiki in England and Spain, for over 20 years. Alongside of this runs her healing practise, which she continues to develop and improve with new techniques and ways to help people. 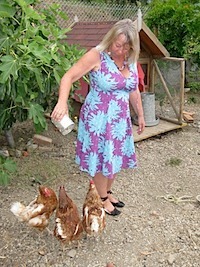 Julie has developed Earth Healing practises which include Earth Acupuncture and the Healing of Waterways with Crystals. She teaches this regularly, and practices internationally. She has written articles on these subjects, and many meditations some of which are published on this website, and has authored her Reiki 1 and 2, and Reiki Masters study packs. 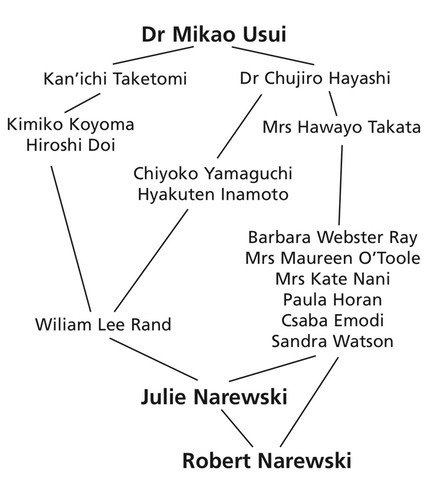 Julie continues to do much research into the history of Reiki, and continues her study to improve her Reiki and Meditation practice. 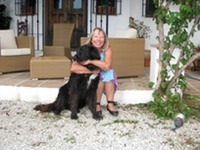 Julie is a qualified Aromptherapist, also practising from the Reiki San Andreas Centre in Spain, and is particularly interested in the assosiation of Essential Oils with the Botanical Properties of the plants, relating the oils directly to the plants in a hands on way, and other ways to use plants and flowers from the garden. With her husband Rob, they make many beautiful, Organic or Wild crafted products from their gardens, including their famous Pink Pepper Balm, infused and macerated oils, flower waters, lip balms, etc. Julie and Rob provide resourses, such as hand painted Reiki Symbols, to help new teachers, Reiki Manuals, Insurance, affordable Website Design and a Reiki Directory for their Reiki Masters. We now provides accomodation at San Andreas for people to stay for Treatments, when on Courses, or simply as a Holiday. San Andreas is run completely off grid, and organically, and is a place with lovely energy. Julie and Rob love to share this space with others and have organic allotments with wick beds for growing produce, which guests are welcome to use. An honesty box system is used for this and the outside Bar. Julie’s aim is “to work towards healing ourselves, allowing us to be a better Channel for others, and to help the Planet”. Rob has been a Reiki master for over 20 yrs, and has practised healing and meditation on a personal level all this time. He is a gifted channeler and was instrumental in developing the Severn Sisters Reiki healing method. He has a degree in graphic design, and loves being involved with creative project. 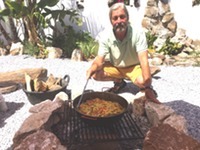 He has created our off grid lifestyle, using solar and wind power, and our own well water. and has constructed a series of wick beds allowing us to grow vegetables easily with little water. Rob is passionate about nature, being interested in the botanical and medicinal properties of plants that can be grown here. He runs courses on making natural products with Julie, details of this are on the web as they come up. Rob is passionate about continuing to raise his own vibration, for himself, for others, and the planet, he continues to practice healing meditation and create everyday.